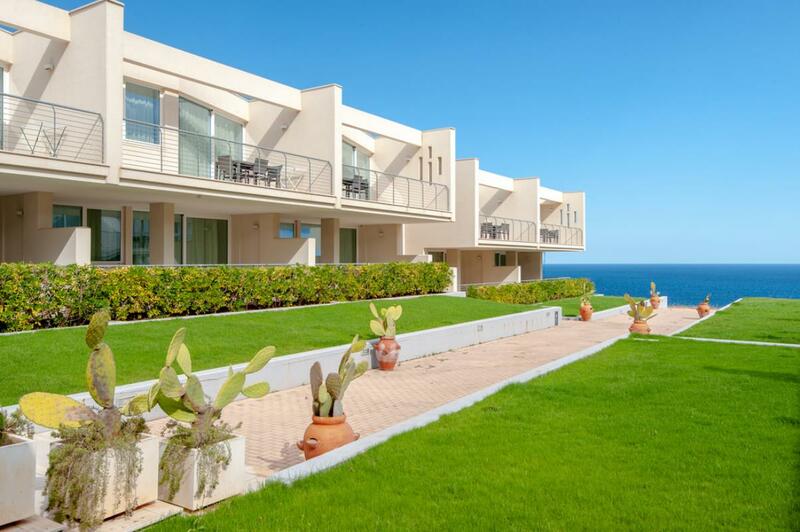 SOLD FURNISHED and just 500 metres from the sparking beaches of the Adriatic Sea, 74 new-build condos for sale, located in Santa Cesarea Terme, Puglia. They all come with air conditioning, a veranda, and parking space. 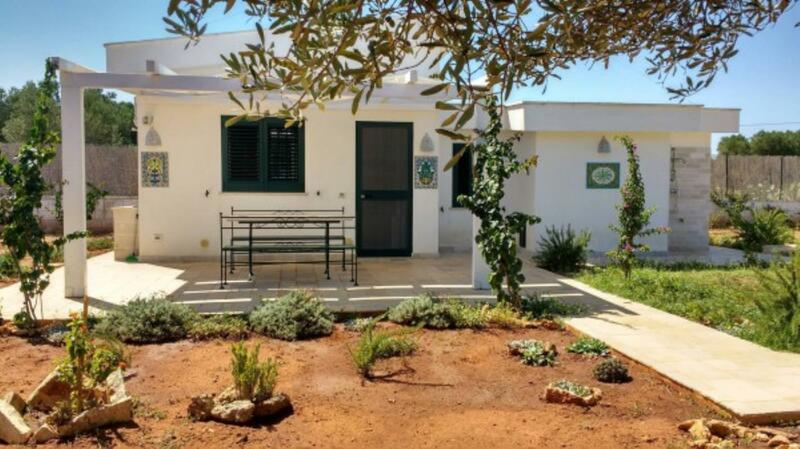 Detached Villa located in the countryside of Ostuni, which is just 5km away. 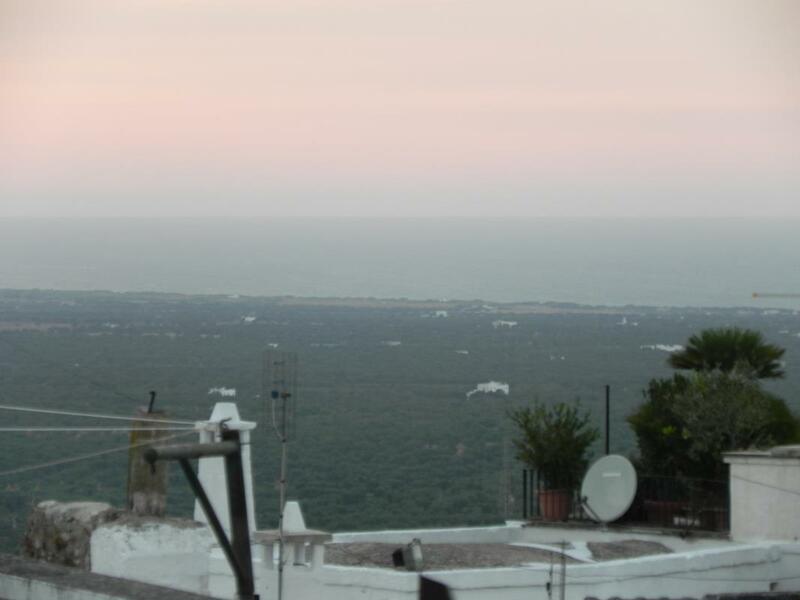 The property is between Ostuni and Francavilla Fontana, and a short drive from all shops, services and amenities of all kinds. 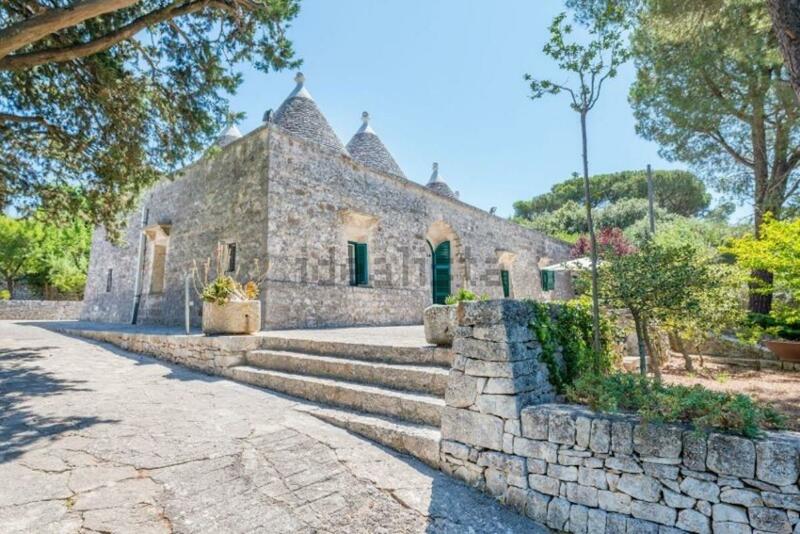 Originally dating from the 15th century, an imposing 12-room historic property in Nardò, a lovely seaside town in Puglia, Southern Italy. It measures 500sq m over its 3 floors. 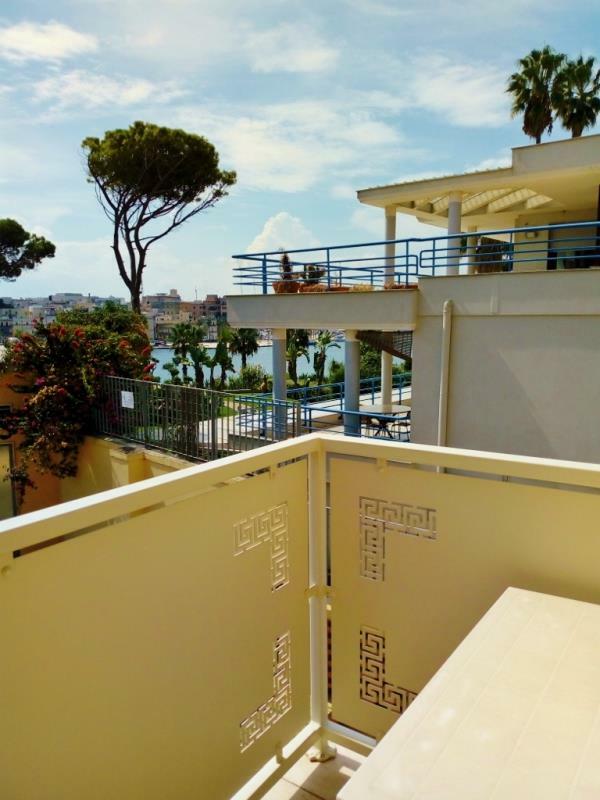 Sea-view apartment with terrace in Brindisi, Puglia. 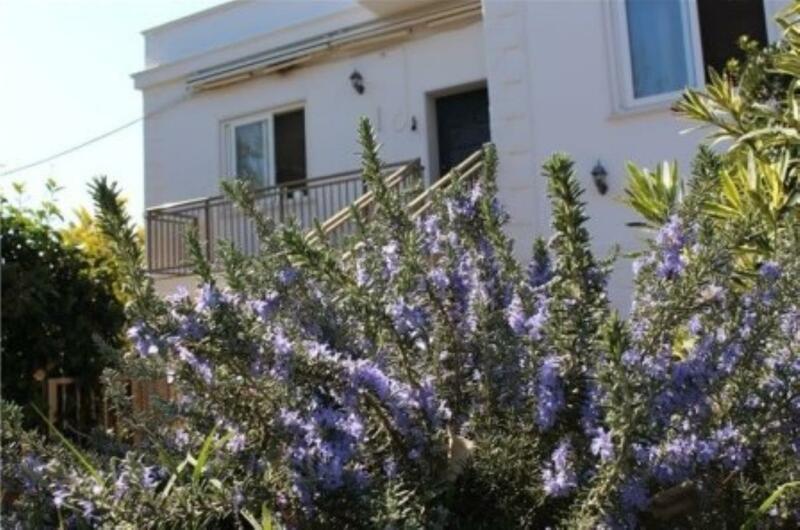 It has a spacious terrace and overlooks the port and a park. 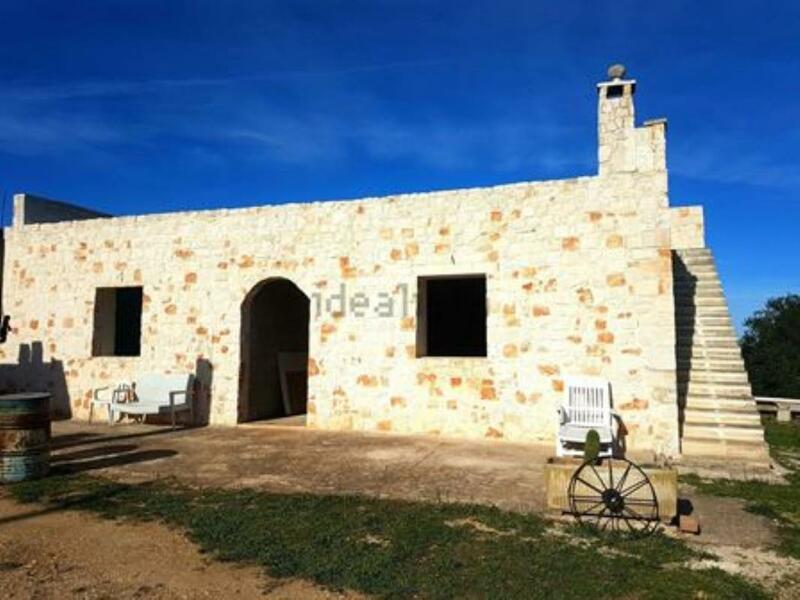 The detached property is composed of a stone “lamia” and a stone “trullo” and it is in a very quiet location, 5 km from the historical centre of Ceglie. 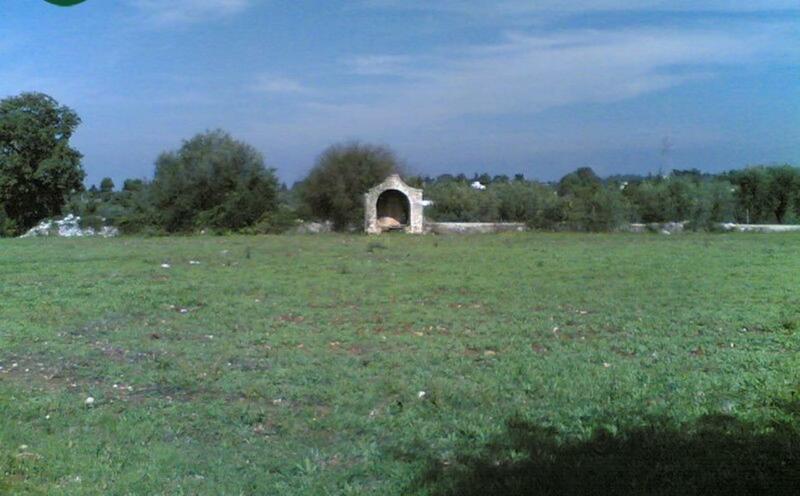 The property is easily reachable by a paved road and the close residential properties are 100 m far away. 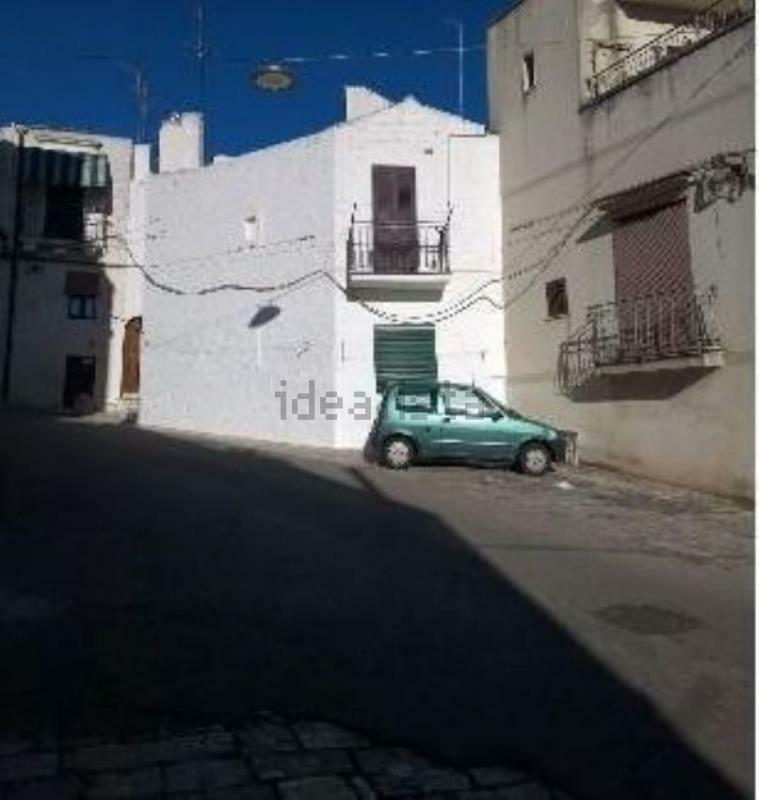 REDUCED BY €30,000! 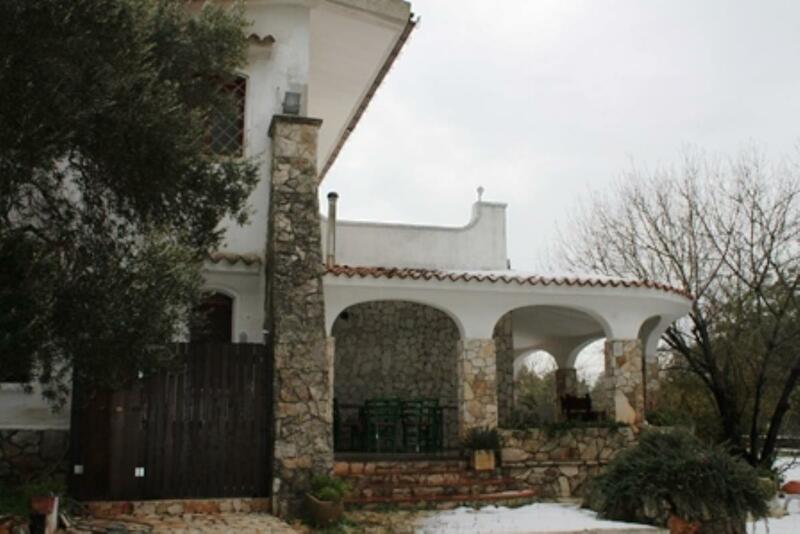 Detached country house situated in a quiet but not isolated area in the countryside of the Itria valley. Only a few minutes’ drive from the glimmering Adriatic Sea and the famous hilltop town of Ostuni, known as the White City. 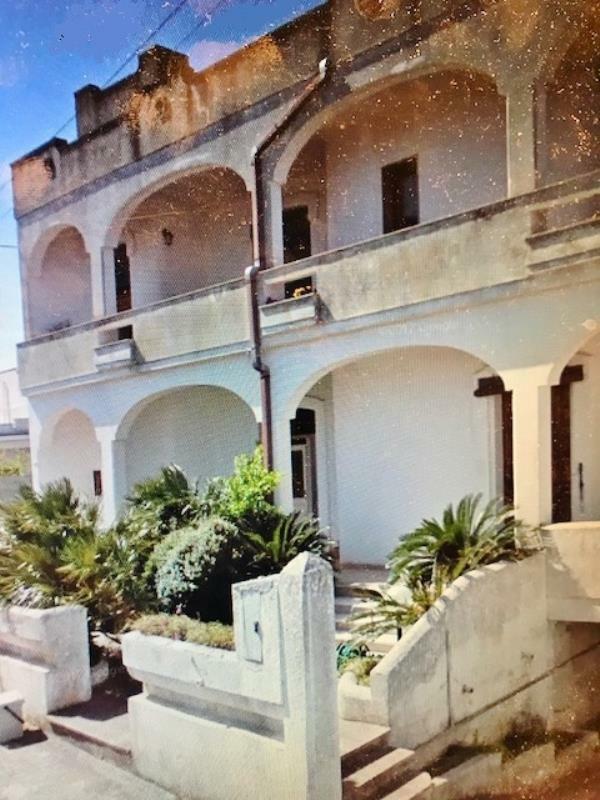 Close to the coast, a lovely country estate consisting of 150sq m villa, 440sq m of old commercial premises and more than 4,000sq m (over one acre) of land in Monopoli, Puglia. 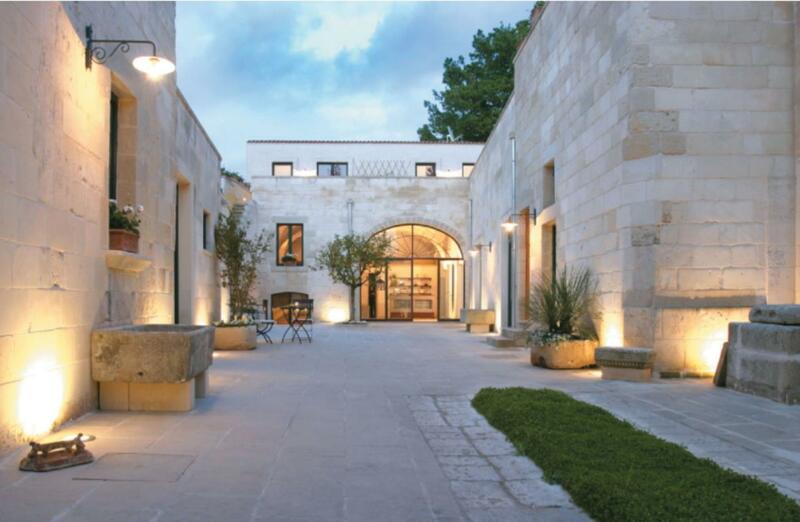 SOLD FURNISHED and set in 11,000sq m (~3¾ acres), an imposing country home built in the white stone that is typical of Puglia. It comes with a separate 2-bed/2-bath guesthouse annex. 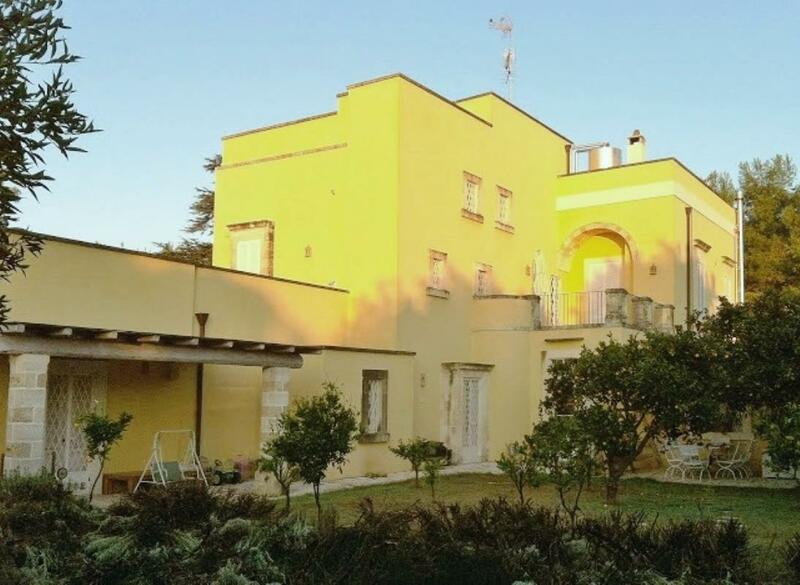 Set in 5,000sq m, an excellently renovated detached villa with swimming pool in Francavilla Fontana, Puglia. The grounds include an olive grove, fruit orchard and ornamental plants. REDUCED BY OVER 35% FOR QUICK SALE! 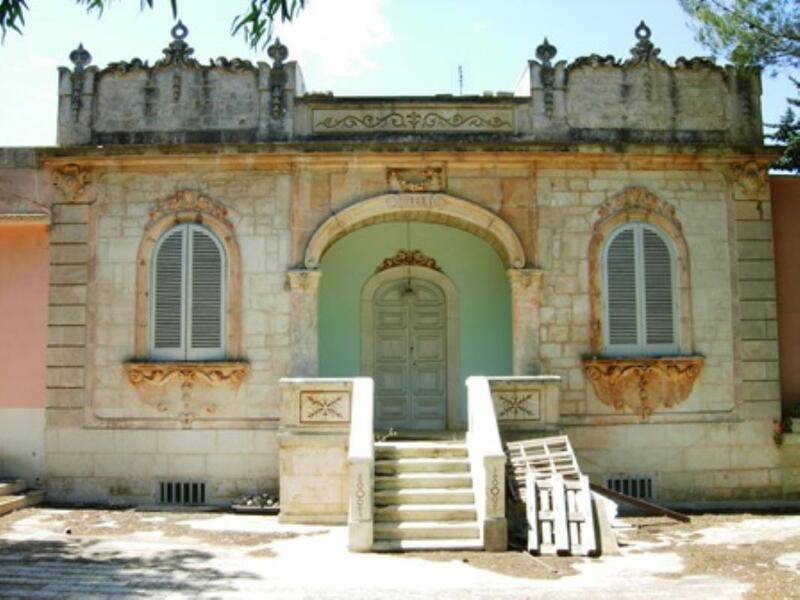 Exclusive renovation project situated just 1 km from the centre of Ostuni, famous hilltop town known as the White City. Formerly an 11th century Norman watchtower and boasting a 360-degree view over the sea, an impressively restored masseria (fortified farmhouse) with swimming pool on the outskirts of Carpignano, Puglia. 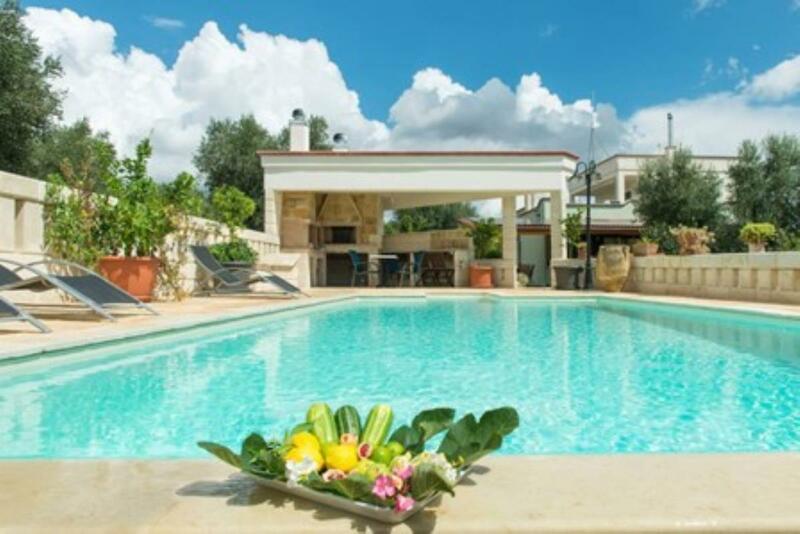 Restored 7-bedroom masseria with swimming pool, on the outskirts of Lecce, Puglia. 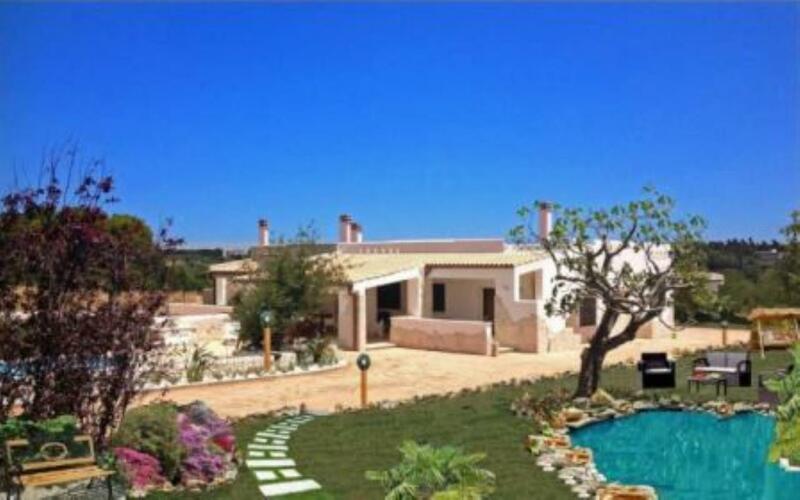 It consists of a main house plus 3 annexes. 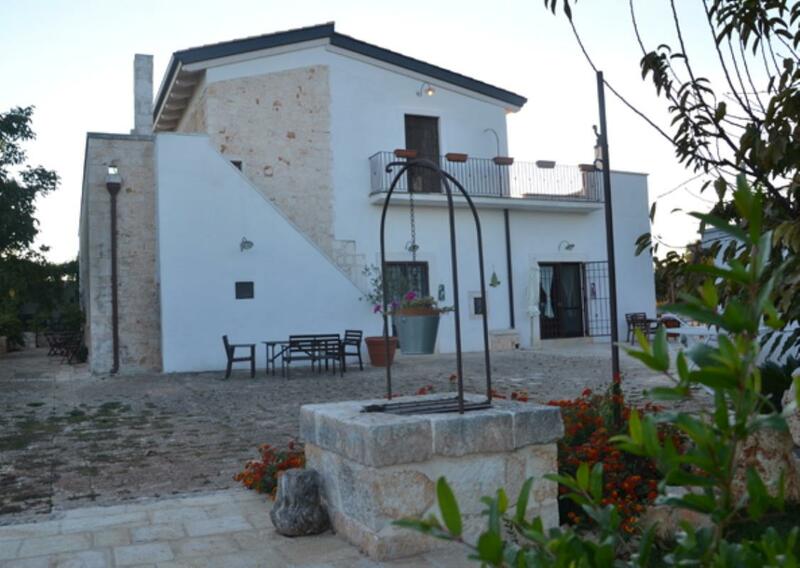 Dating from the 16th century, an impressively restored masseria/farmhouse on the outskirts of Francavilla Fontana, Puglia. 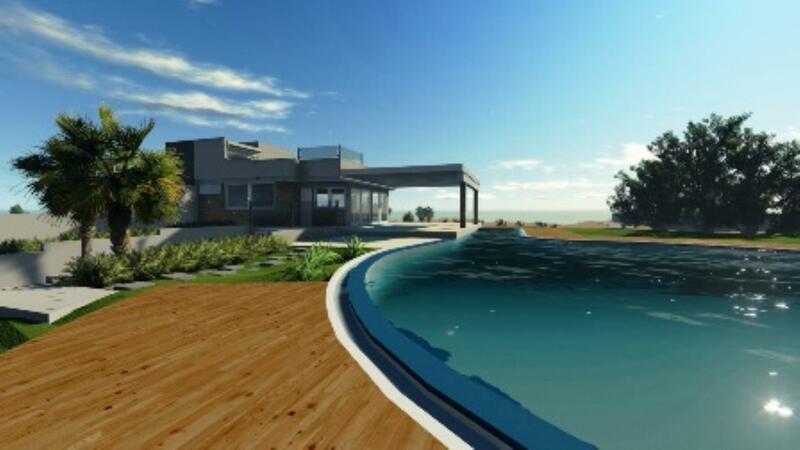 It is set in 16,000sq m (~4 acres). • REDUCED BY NEARLY 15%! REDUCED BY NEARLY 15%! 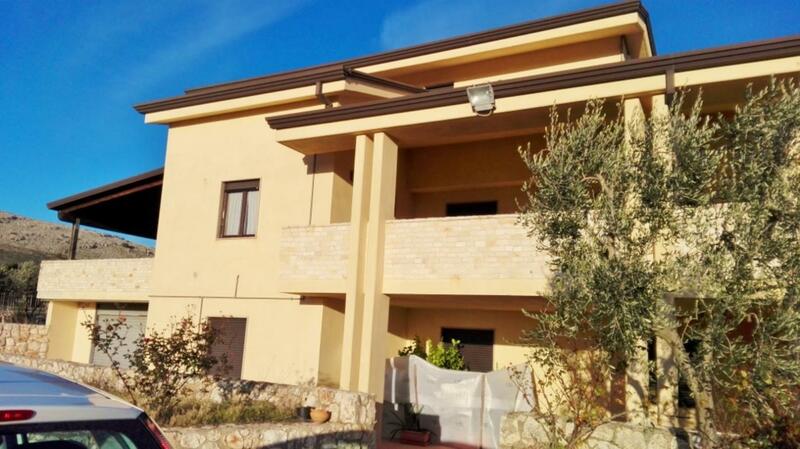 Spacious 3-bedroom apartment in a recently built block, lcoated in Nardo, close to Puglia's Ionian coast. It measures 120sq m and is on the first floor; the building has a lift/elevator. The apartment also comes with a 103sq m private terrace. 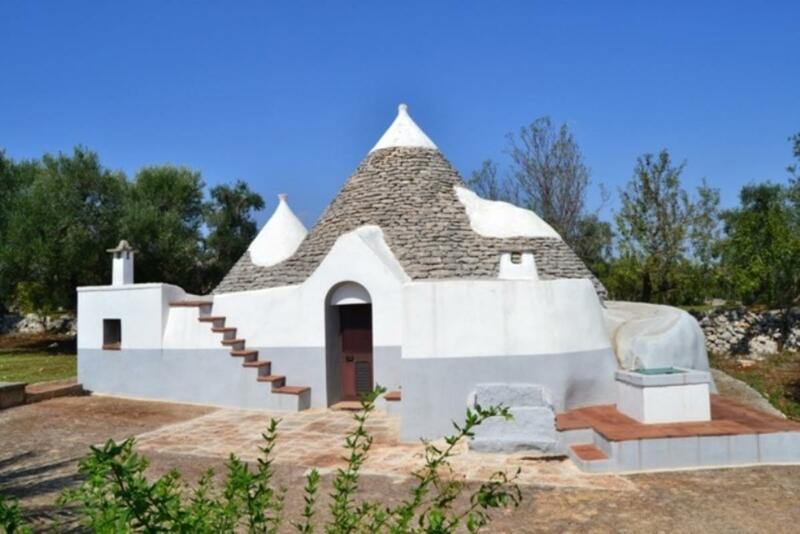 This 2-bedroom property consists of a group of trullo cones situated in the countryside of Ceglie Messapica, in an open and panoramic location surrounded by 9,000 sq m (almost 1 hectare) of land with several fruit, almond and olive trees. 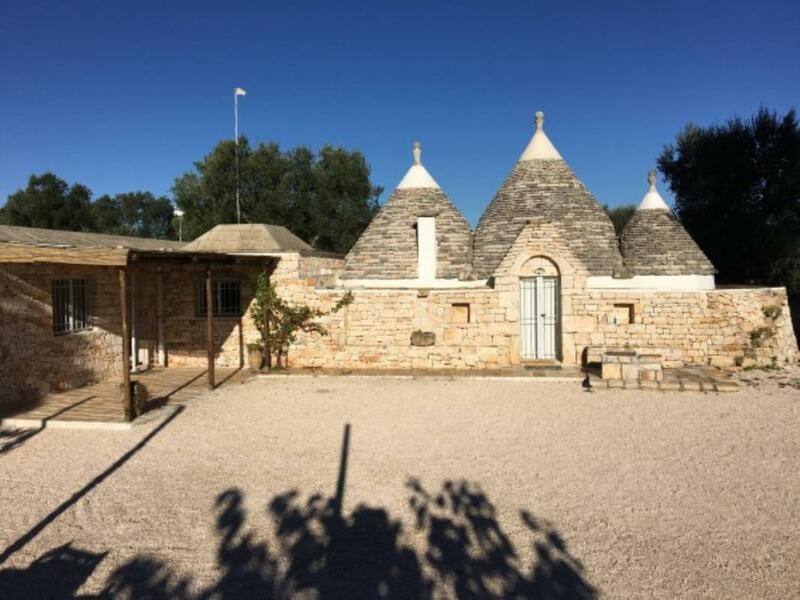 The building comprises a main trullo cone and three cones on the side where there is one double bedroom, a single bedroom, lounge with fireplace and other rooms to be used as kitchen and bathroom. An external staircase leads to the roof terrace. A few meters from the building there is a private chapel with original frescoes. Both Bari and Brindisi Airports are 40 - 45 minutes’ drive away. 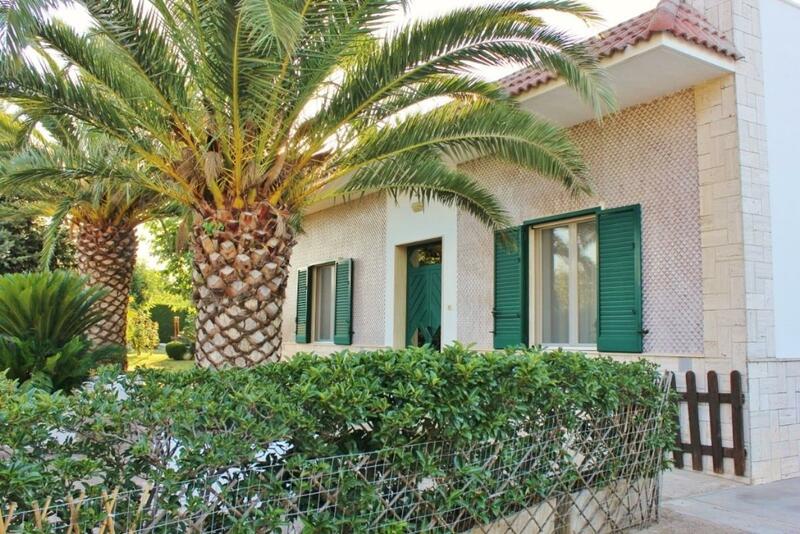 REDUCED BY €200,000 FOR QUICK SALE! 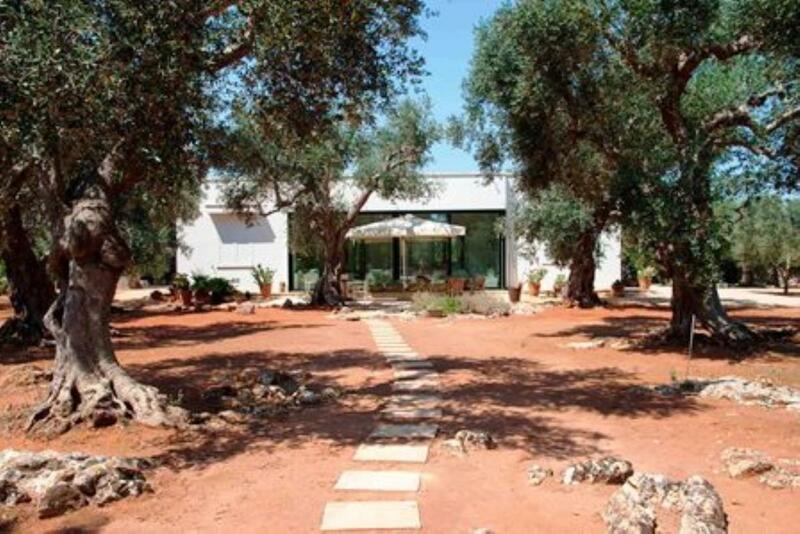 Detached villa in 10,000sq m grounds and set over 3 floors, located within the confines of Puglia's Murgia Nature Park. 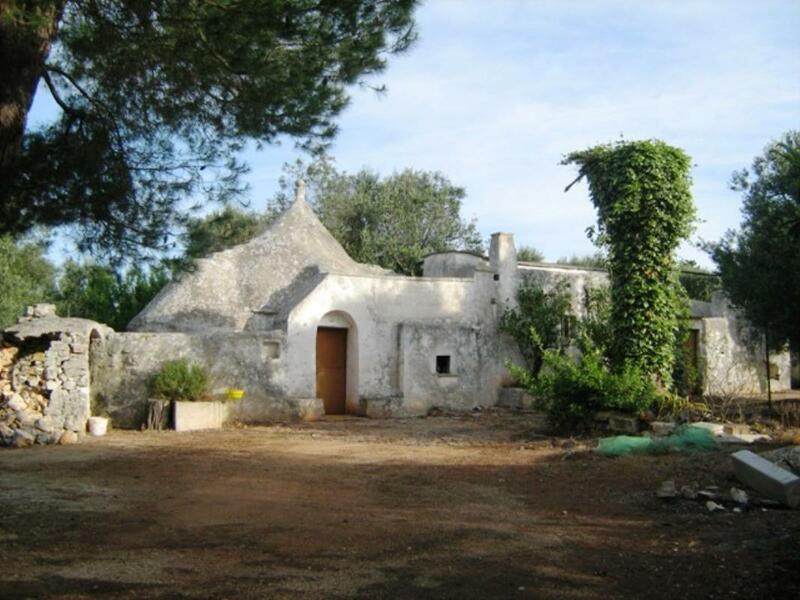 REDUCED BY €90,000 and SOLD FURNISHED, a large, detached property within walking distance of the Puglian coast. 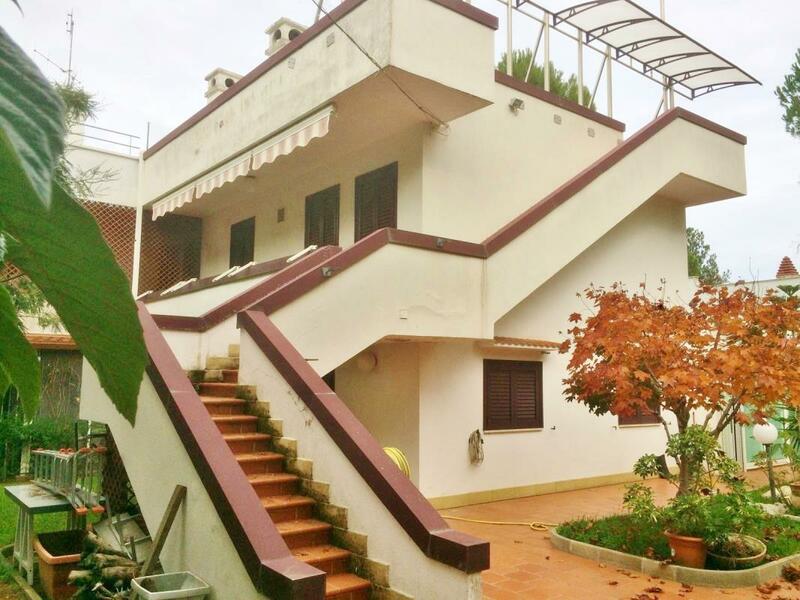 It measures 150sq m over 2 floors and comes with an immaculately manicured 450sq m garden. 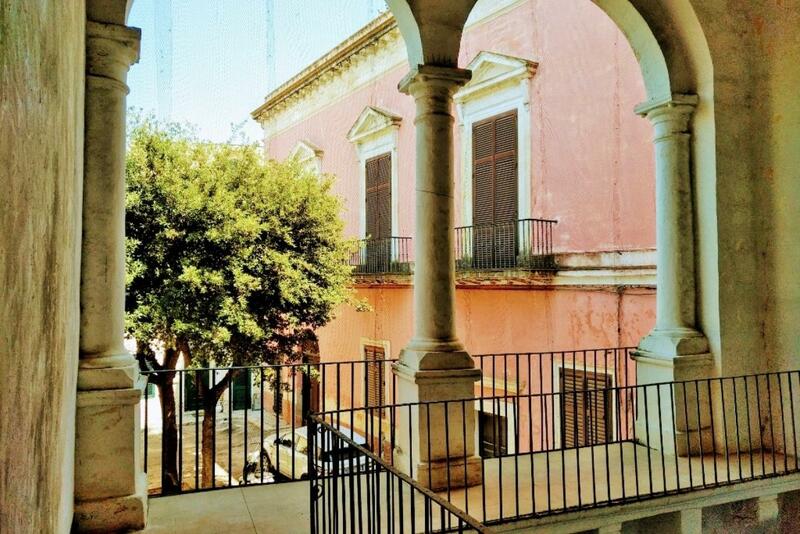 Restored 3-bedroom apartment with terrace in Cocumola, in Puglia's Lecce Province. • just 10 minutes’ drive from the famous seaside of Castro Marina. 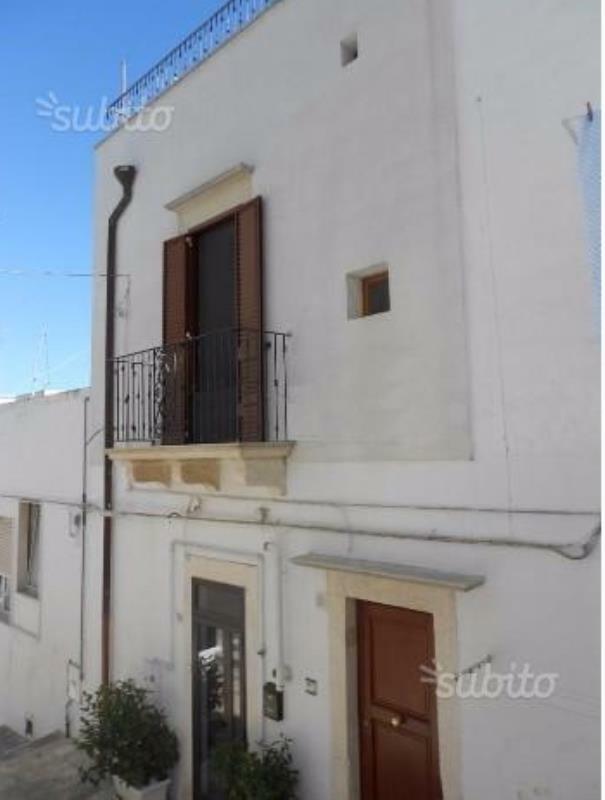 REDUCED BY €60,000! 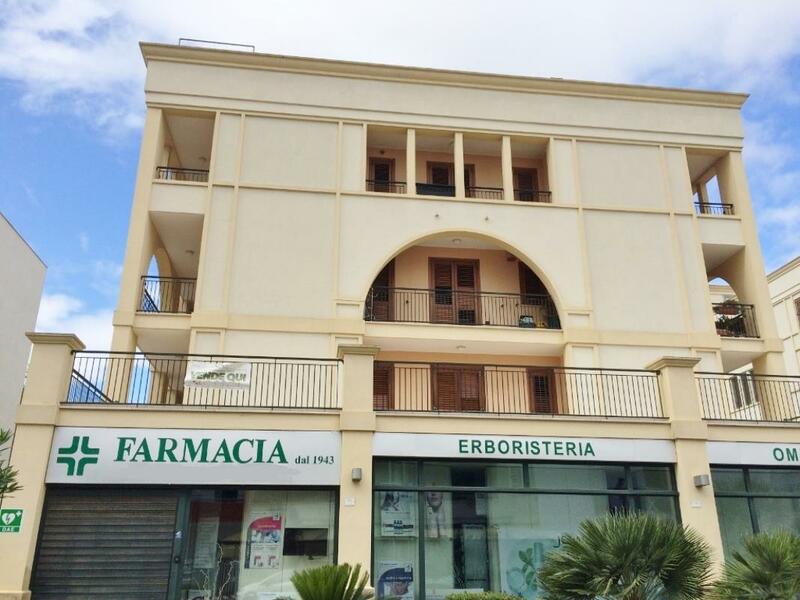 A 2 levels palazzo located in the city centre of Diso, just 10 minutes’ drive from the famous seaside of Castro Marina. 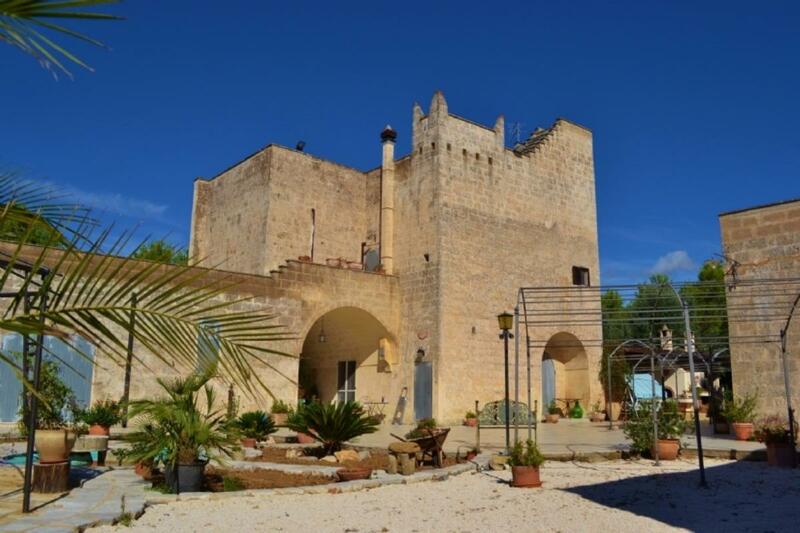 Finely restored 2-storey townhouse in Collepasso, around 20 minutes from the coast in Puglia, Southern Italy. 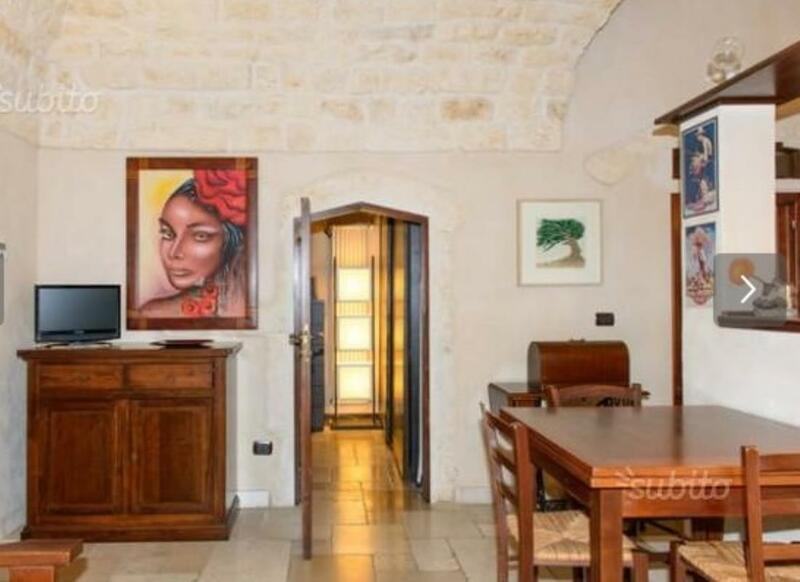 It measures 130sq m.
Finely restored apartment set on 3 floors and built with solid tufo stone. The interior walls feature exposed stonework. 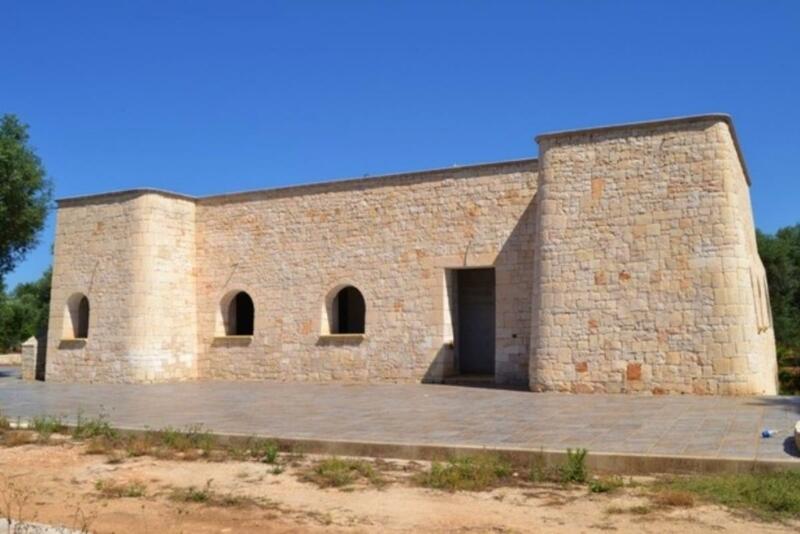 Prestigious villa with works at their final stage, built with high quality materials, in modern style, completely fronting the beach, which is 300 meters far and which can be reached from the property itself in Capitolo di Monopoli. 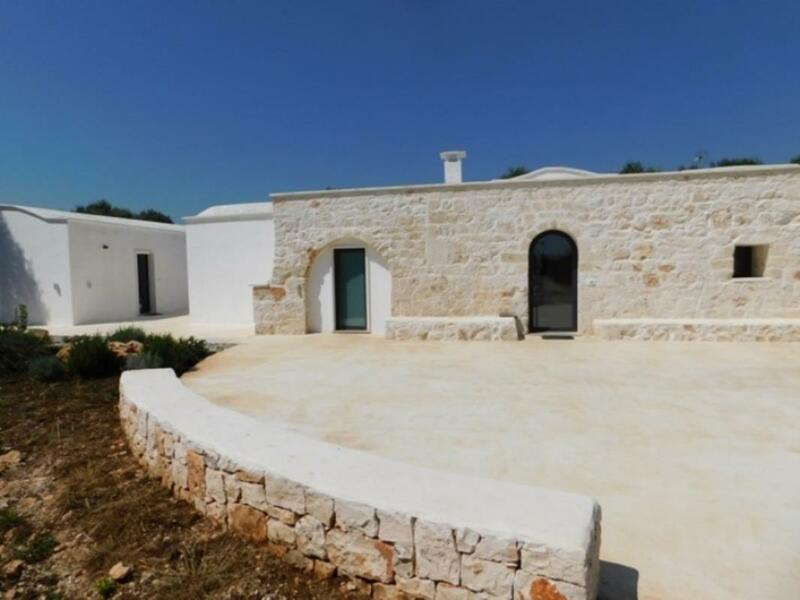 Restored and SOLD FURNISHED, this is a property made up of traditional Puglian trulli and lamie, set in 16,000sq m (~4 acres) of land in San Michele Salentino, Puglia. The grounds hold a 170-tree olive grove, citrus trees and a fruit orchard. 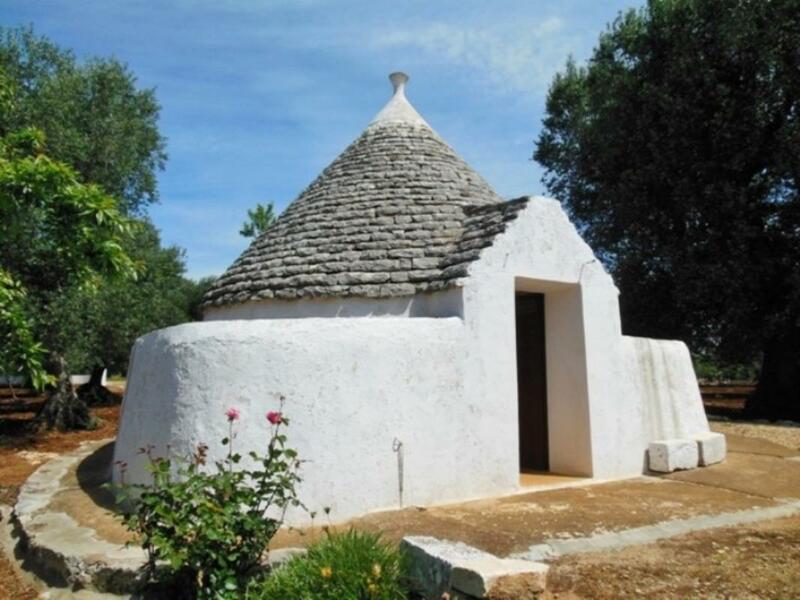 Restored 3-cone trullo set in 10,00sq m of grounds that includes an olive grove and fruit trees. 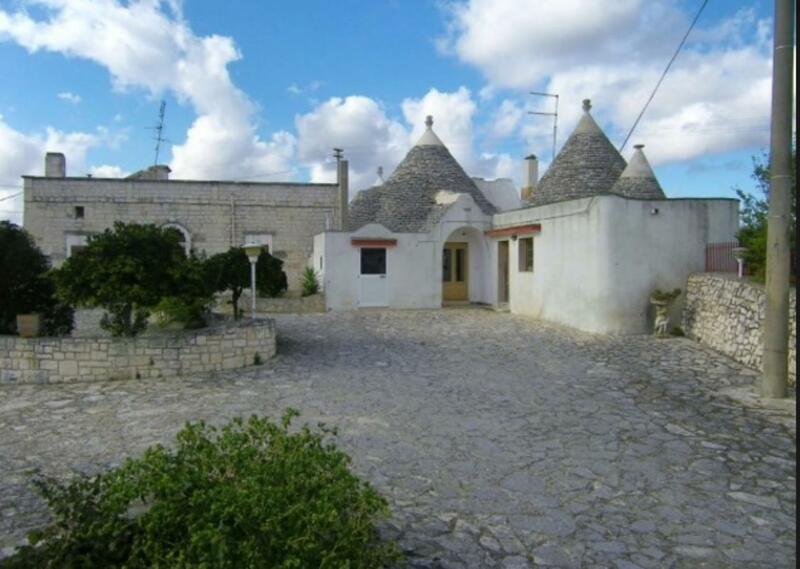 Trullo set in 7,500sq m of land with an olive grove and fruit trees in Ceglie Messapica, Puglia. The property is in good condition but requires modernisation. 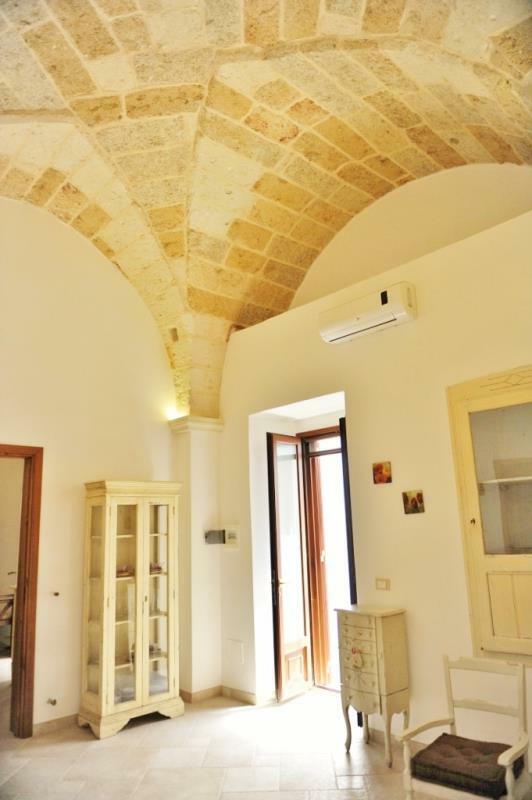 Restored traditional 2-bedroom home in Martina Franca, Puglia. 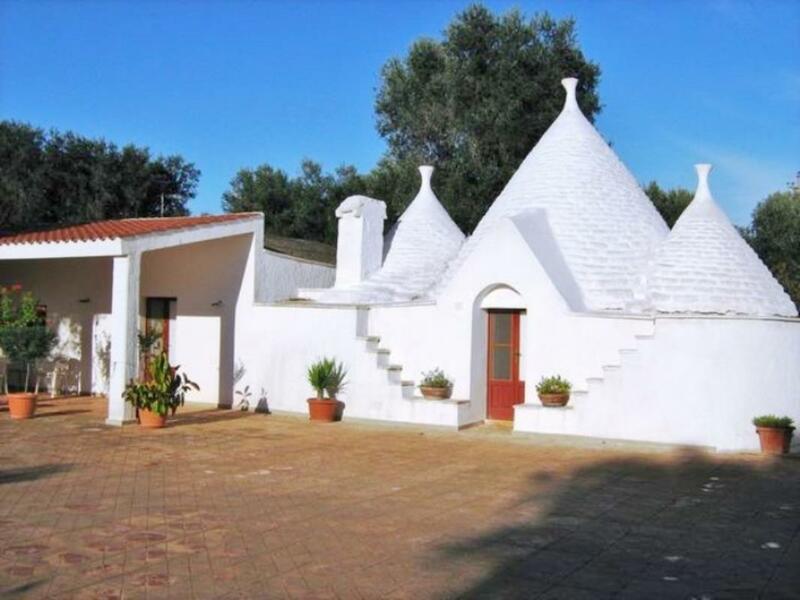 Set in 13,000sq m (over 4 acres), an 8-cone trullo restored while maintaining its traditional character. 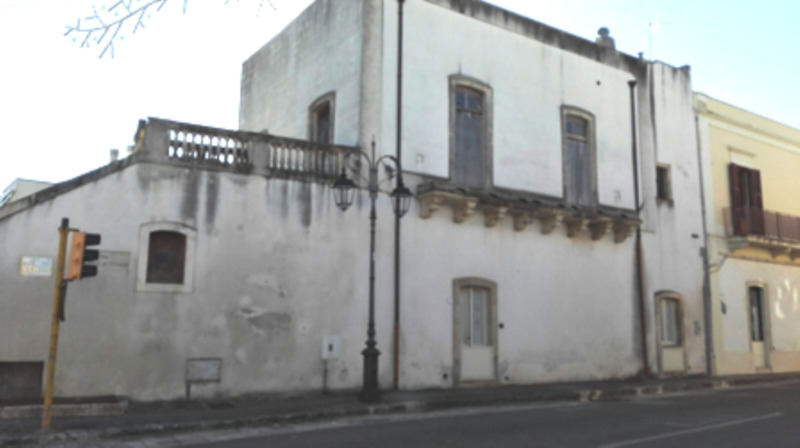 Typical stone-built house, situated in the old part of the historical centre of Ostuni. 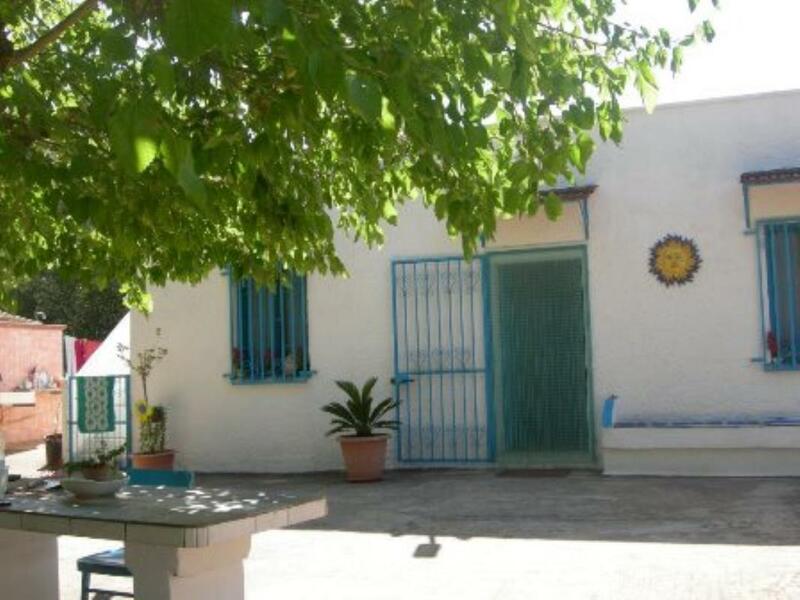 Town house in good condition, free on two sides and located in the historical centre of Ceglie Messapica. 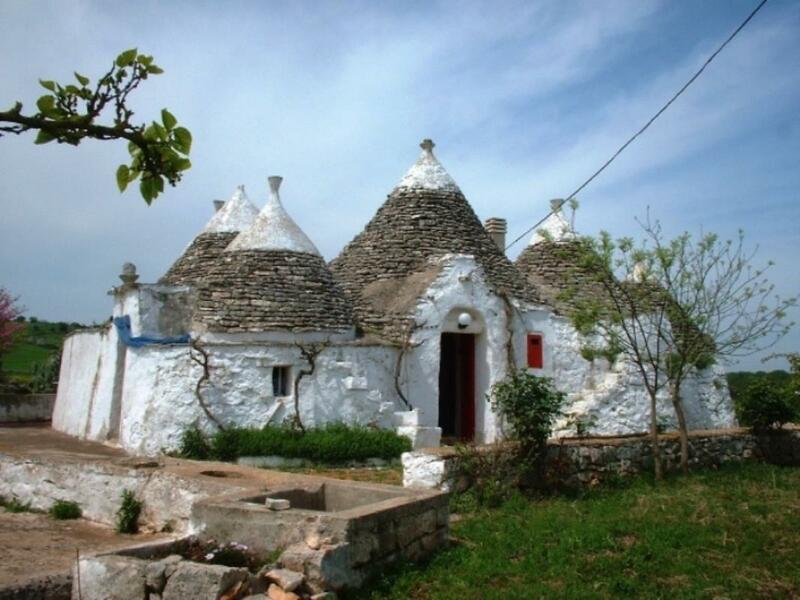 Set in 50,000sq m (~12½ acres), a 3-cone trullo and lamia to restore in Ceglie Messapica, Puglia. 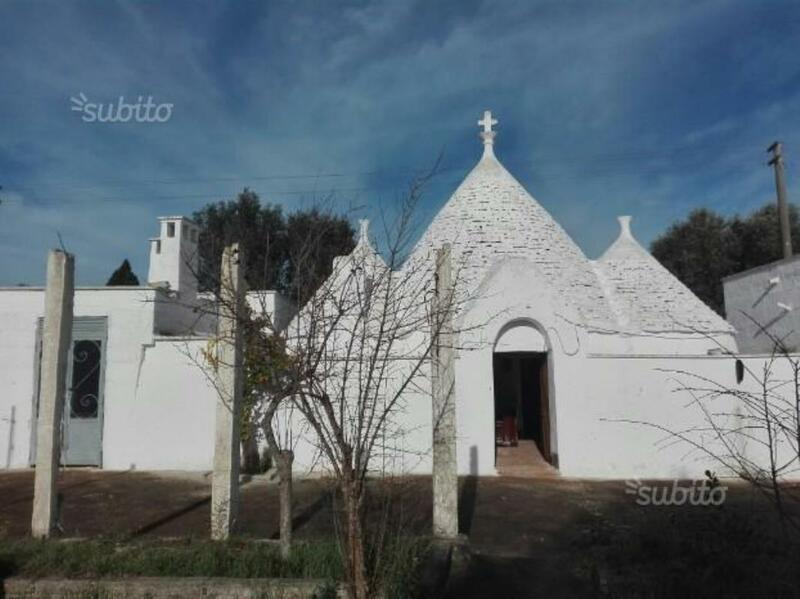 Set in 32,000sq m (~8 acres), a 6-cone stone-built trullo and lamia to restore, with flooring in local natural stone (chianche). 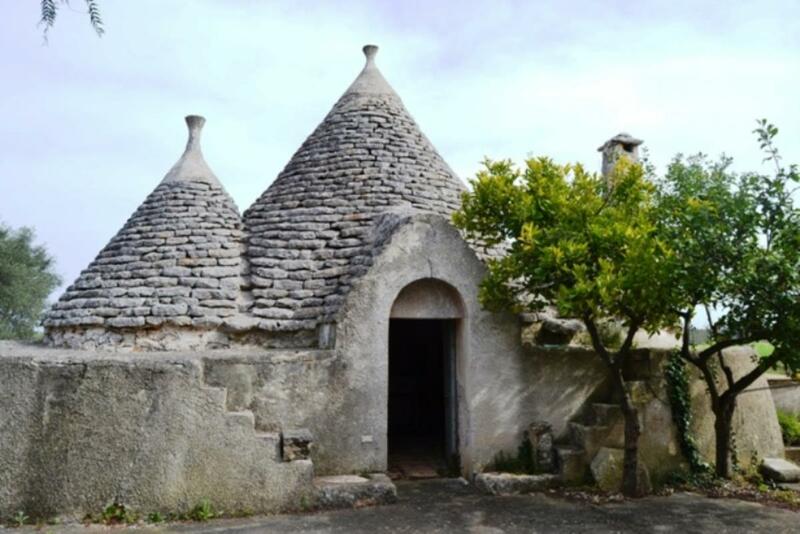 3-cone trullo plus adjacent lamia to restore, set in 32,600sq m (~8 acres) in Ostuni, Puglia. 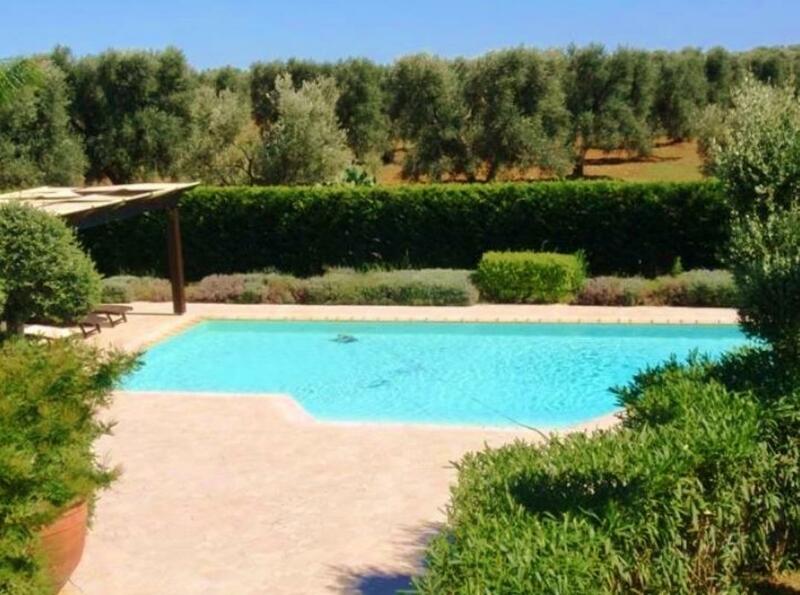 The grounds include an olive grove plus fruit and almond trees. 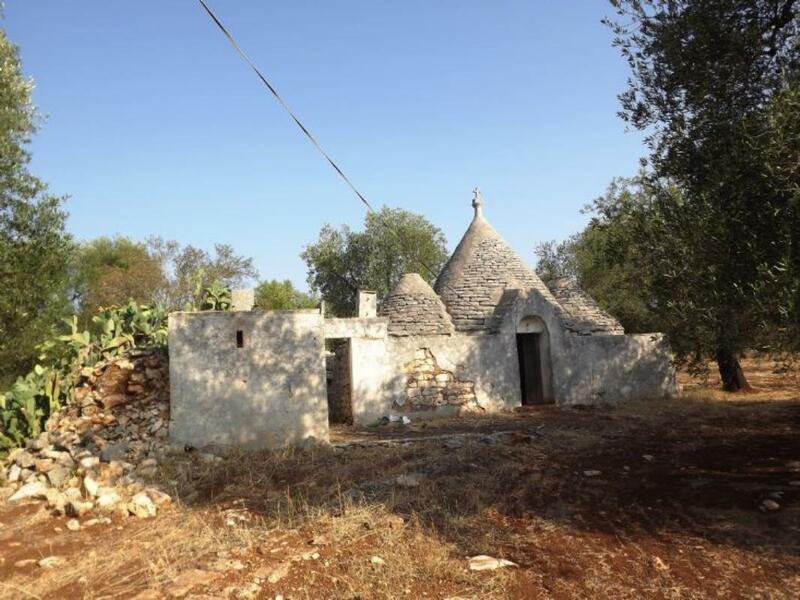 Stone-built lamia and 2 trulli, all to be restored. 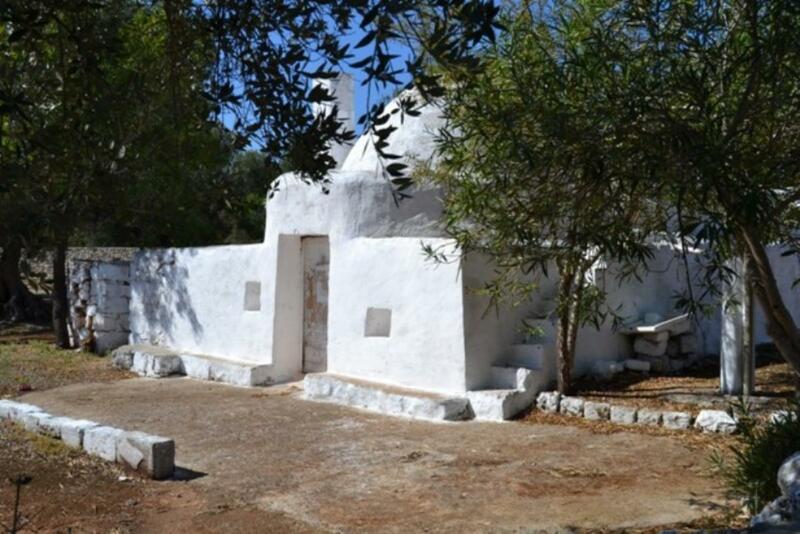 REDUCED BY €15,000! 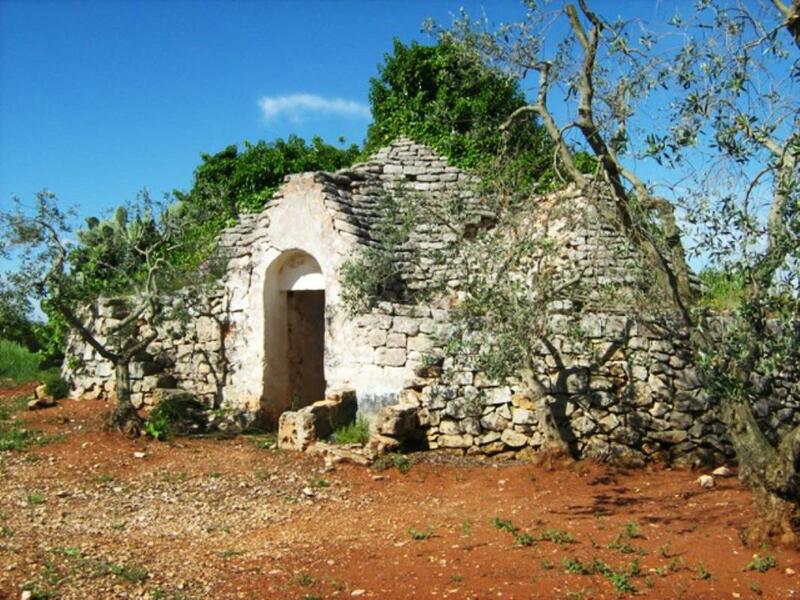 Set in 24,000sq m (~6 acres), a complex of a 4-cone trullo plus a lamia, 2 garages and ruins in San Michele Salentino, Puglia. 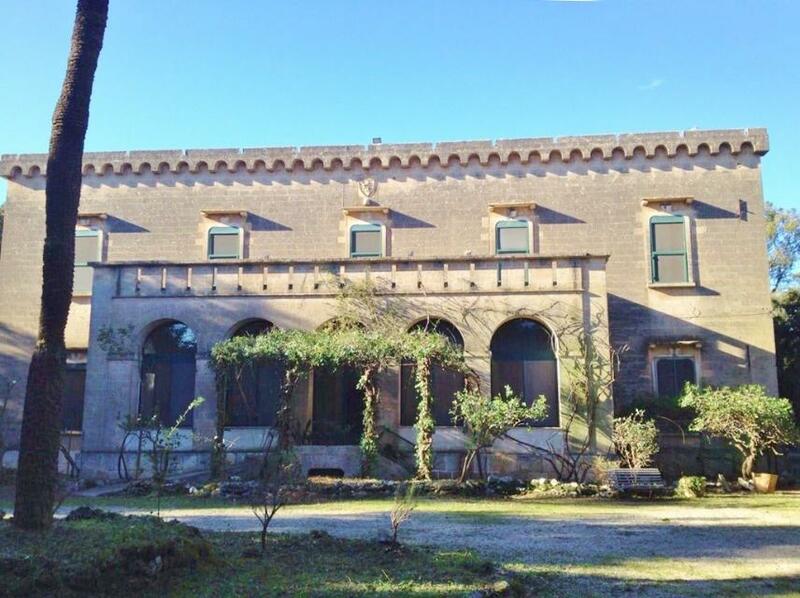 Dating from the late 1800s, a stone-built villa set in 23,000sq m (~5½ acres) of fenced grounds in San Vito dei Normanni, close to the Puglia's Ionian coast. It is set over 3 floors. 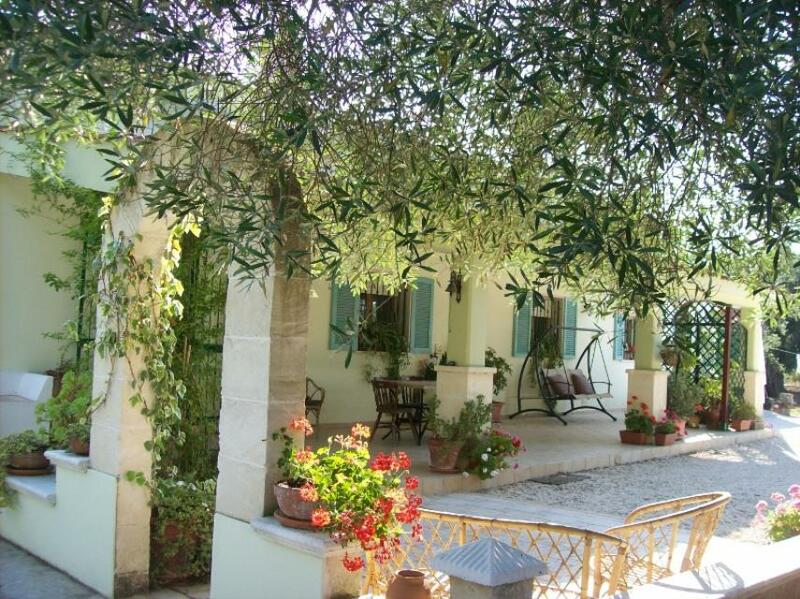 Traditional Country house immersed in an olive grove situated 3 kilometres from the Medieval City of Oria, boasting many cafes and restaurants and a local train station.